Banksy is probably the most popular, yet most mysterious, urban street artist in the world – and he works at incredible extremes. He has become an internationally known as a subversive graffiti artist – yet manages to maintain a secret identity. 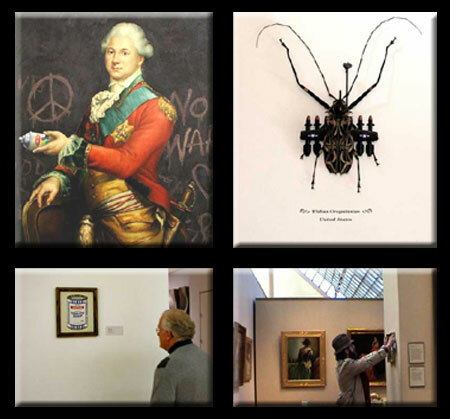 He is a counter-cultural prankster, but has art in major cosmopolitan galleries around the globe. Banksy’s work has sold to Hollywood celebrities for over a half-million dollars a piece, but much of his subvertising is freely (and illegally) drawn on public surfaces. He works against the mass media establishment, but has been featured in local, national, international news. He is on some level clearly a geek at heart but at the same time his art is always on the cutting edge. The following seven examples illustrate the fascinating range of Banksy’s life and works through his most controversial and compelling projects. Banksy in the Streets: Banksy is a household name in the UK, perhaps best known for his compelling stencil graffiti, found throughout major cities on walls and billboards. He avoids the abstraction of traditional tags, instead creating (often photo-realistic) urban street art images that respond to a given context and contain some form of social commentary. Of course, these are all highly illegal, which is part of the reason Banksy shields his identity. Banksy in Museums: Banksy has been an internationally notorious figure since covertly adding his own works onto the walls of major museums in both the UK and the US. He managed to sneak in and install a fake prehistoric cave painting into the British Museum. This piece went unnoticed for days, and was later added to the museum’s permanent collection! 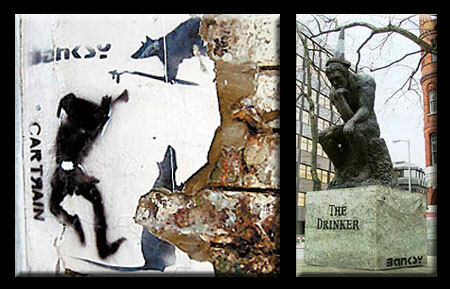 Banksy also slipped subversive and satirical painted works onto the walls of four major New York museums – two of these four pieces remain in place. 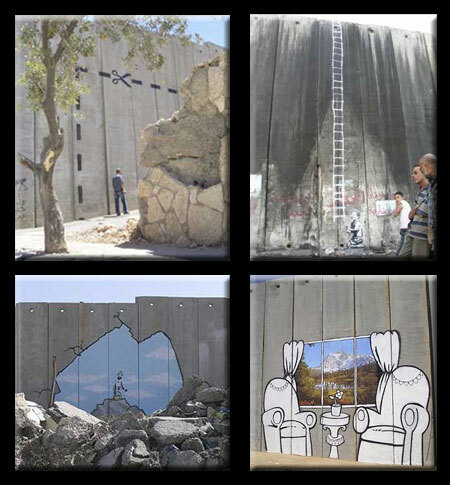 Banksy on the West Bank: Braving threats and even warning shots from Israeli security forces, Banksy managed to make a statement through his works on the West Bank barrier. Reactions were mixed to his contributions to the wall, but the coverage certainly raised global attention. 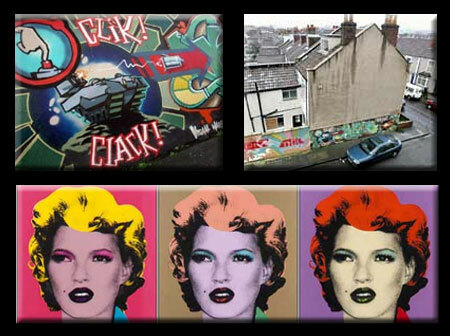 This kind of work shows the development of Banksy from a local subversive to an artist with a global political agenda, reminiscent of the amazing political murals of Belfast, Northern Ireland. Banksy on Paris Hilton: Despite the gravity of some of his work, Banksy is no stranger to subverty pop culture icons. In one of his most famous stunts, Banksy replaced 500 copies of a Paris Hilton CD with his own remixes and cover art. Perhaps even more amazing: it was reported that no one who accidentally purchased Banksy’s version of the CD returned it. 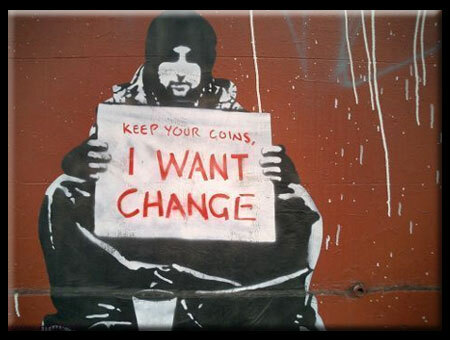 Banksy’s fame has grown as has taken on more attention-grabbing subjects, from international relations to pop icons. 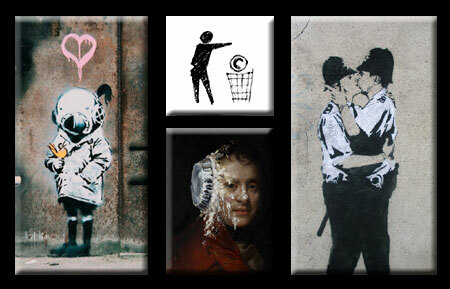 Banksy for Sale: Works of the elusive Banksy have sold for over $500,000 a piece. Among his fans are Hollywood hotshots Brad Pitt, Angelina Jolie, Keanu Reeves and Christina Aguilera. One family in Bristol – Banksy’s home town – went so far as to list their house for sale as a mural with a building attached, to find buyers interested in preserving the art on the side of the structure. Bansky gets Stolen: Unfortunately, with Banksy’s fame has come a price for curators and communities who have and enjoy his work. Popular pieces have both been stolen from museums and dissappeared from the urban landscape, only to be resold for profit. The former is to be expected, perhaps, but the latter is a real blow to communities that know and appreciate Banksy’s contribution to their neighborhood. 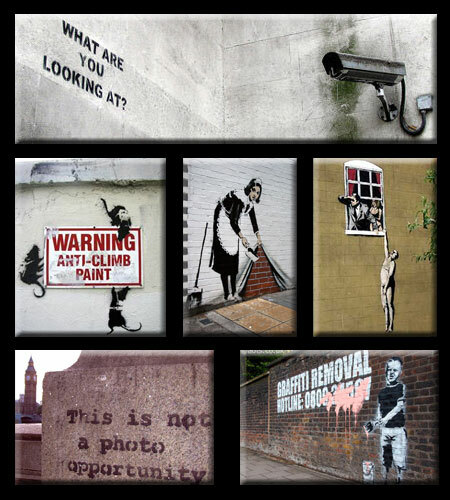 Banksy for Free: On Banksy’s website, images of his work are sold for free and he humorously encourages ‘buyers’ to print it out “on gloss paper using the company printer ink when everyone else is at lunch.” However, the works mentioned here and the pieces shown on his site are only a fraction of his contributions. To learn more, buy one of Banksy’s books – or better yet, take one from the library, replace the dust cover, keep the book and return something provocative in its place! This video provides a great introduction to the mysteries surrounding Banksy. His work remains more controversial than the leave-no-trace types of urban street art, such as light graffiti, projection bombing or other unusually legal street art. Though his work is sometimes legal and sometimes not, he remains an anonymous trickster, evading identification by the public and the law much like the anonymous subvertisers and culture jammers of the street art world.